Mix-and-Match Mama Meal Planner by Shay Shull. First of all you need to know that Shay Shull is a Texas Angel I would probably do, read, cook ANYTHING SHE TELLS ME TO. She's a travel agent turned blogger turned internet celebrity turned cookbook writer. She also has 4 kids, two of which she adopted from China. I MEAN MARRY ME ALREADY, SHAY!!! You may have first seen Shay on the Sean Lowe's season of The Bachelor. She came on to give her brother (Sean) some SOUND ANGELIC ADVICE on who he should pick. I remember being like wow she seems lovely! So when I found out she had a blog I definitely became a SFG (Shay Fan Girl). And then when her cookbooks came out a few years ago I was excited! We own this one along with Mix-and-Match Cakes cookbook. (Fun Fact: JOEL BE OBSESSED WITH MAKING CAKES. He uses this cookbook ALL THE TIME. One time we had friends over and I was telling them Joel loves to bake cakes and they were like "YOU WON'T BAKE A CAKE RIGHT NOW!!" And of course he's like CHALLENGE. ACCEPTED. BYE. and off he went at midnight baking a lemon cookie crunch cake.) Also I will preface the book by saying these are SEMI-HOMEMADE recipes. If you're a "real" cook, you probably won't be interested. I am, however, a fake cook. I like to do things QUICKLY in the kitchen so I have more time to drink wine be with my adoring family. These recipes are great weeknight options. There's space for shopping lists and to write your thoughts on recipes! It's broken down by season. It's small and compact (just like Shay!) and it's been in my recipe rotation for awhile. Anyway, I got this blush as a welcome gift from Sephora for becoming a V.I.P. Rouge member (bow down) a few months ago. I will admit though, that I'm NOT THAT GOOD AT BLUSH. I'm always a spaz putting it on, and it's one of those things that I just throw on because I know I NEED IT. However I'm starting to realize I may have just been using the wrong color before now. This color IS SO LEGIT. It's the perfect pigment, I feel like it's truly a UNIVERSAL color. After researching the blush I realized it's only available to Rouge peeps BUT BECAUSE I LOVE YOU I found a Goulue "hack" by Clinique. It's literally the same color and $7 less. Bless up. It's called Rosy Pop and it can be found HERE. 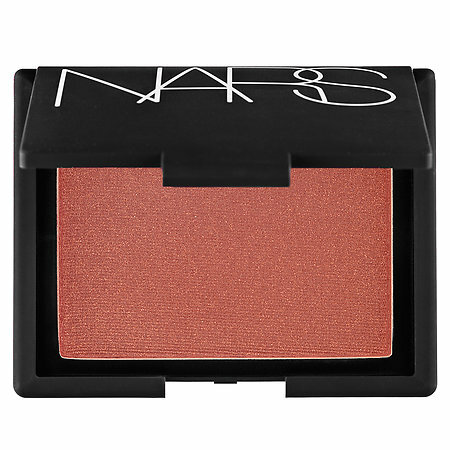 Unless you really want the NARS kind in which case just spend $9084983294 at Sephora like I did, and become a V.I.P. Rouge member! 3. This Rewind Candle in the scent Rose (As in YES WAY, ROSE AYYYY. It's annoying me that I don't know how to get the little thing over the E on my new computer. #firstworldproblems). I got this candle as a Christmas gift from my SIL Cassidy, and I immediately loved it. First of all, it's a candle. Burning candles is LITERALLY MY FAVORITE PAST TIME. CHECK. It's made from a re-purposed wine bottle. DRINKING WINE IS MY OTHER FAVORITE PAST TIME. CHECK. OPEN AND SHUT CASE, Johnson. The smell....I can't even put into words how good the smell is. I think it was the company's first "blanc" scent so you know they put some TLC into it. It has "notes of rose petal, white peach, and pink peppercorn." I never knew pink peppercorn existed BUT THANK YOU GOD FOR IT. It's got an 80 hour burn time so it's a good investment. Make your life lovely and treat yourself to this candle! 4. My Blessed Is She Lenten Journal. I'll keep this one brief, but I wanted to mention how much I love this journal. 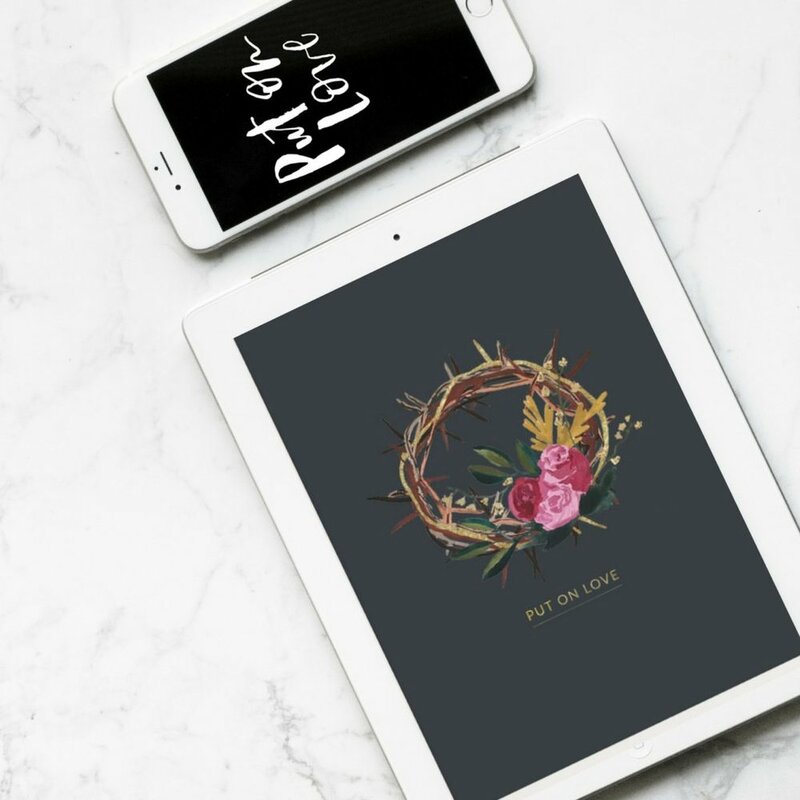 Blessed Is She is a Website/Instagram/Community of Catholic women. I discovered it about a year ago, and it's been a great resource for Catholic reflections, books, and ministry. I have their planner and when the journal came out for Lent I was pumped. I definitely have "visions of grandeur" for Lent and often I end up mad at myself that I gave up on what I was giving up, or didn't make enough time for prayer. This journal is sort of a "hand holding" guide for women through Lent. There are prayers, scriptures and a daily "call to action" to reflect on. I'm not a journal-er AT ALL so this is forcing me to slow down and take time to write my thoughts. My "hard copy" journal is sold out but luckily they have a digital one on sale for $15. In many ways digital is better so you always have it on the go! It's not too late, get one! 5. Laneige Water Sleeping Mask I got a sample of this guy in a Target Beauty Box awhile back. I tried it when I got it and I wasn't really impressed. I washed my face and put on the mask hoping to wake up with SKIN SOFT LIKE A BABY'S BUTTOX. Sadly, no. I felt no change. So I took to The Internets to see what was up. Evidently I was using it wrong. When I hear "mask" I assume it goes directly on your skin. Alas, instead of a mask it should be used like a "pack". As in, you do your whole nightly skin care routine, including moisturizer AND THEN put this on top of it. HUZZAH! Even old dogs can learn new tricks. It's supposed to seal in all the moisturizer, toner, anti-aging agents, etc. Since using it the RIGHT WAY I have LOVED IT. Especially on cold dry nights! You wash your face in the am with water and follow up with moisturizer. Everyone will be like WHO IS THAT GIRL IS SHE BENJAMIN BUTTON-ING BECAUSE SHE LOOKS MOISTURIZED AND YOUNG AF. That's what I'm loving this week! What are you loving?? Joel gets back from a work trip tonight and I couldn't be more pleased! We are laying low this weekend, and having brunch with friends! What are you guys up to? P.S. I haven't forgotten about my special announcement! I want it to be perfect so I've been working on it for awhile. It's coming-- promise!